When I first started to bind books, I bought leather pieces from Falkiners (now Shepherds) – my favourite place for bookbinding supplies. More recently, I discovered that Pittards in Yeovil, who make beautiful leather for gloves, bags and other leather goods, have a wonderful factory shop where you can pick up whole hides and offcuts and seconds at amazingly cheap prices. The result of this discovery has been, I have collected a small stock of beautiful leather pieces, in a rainbow of colours just waiting to be made into albums or a journals. 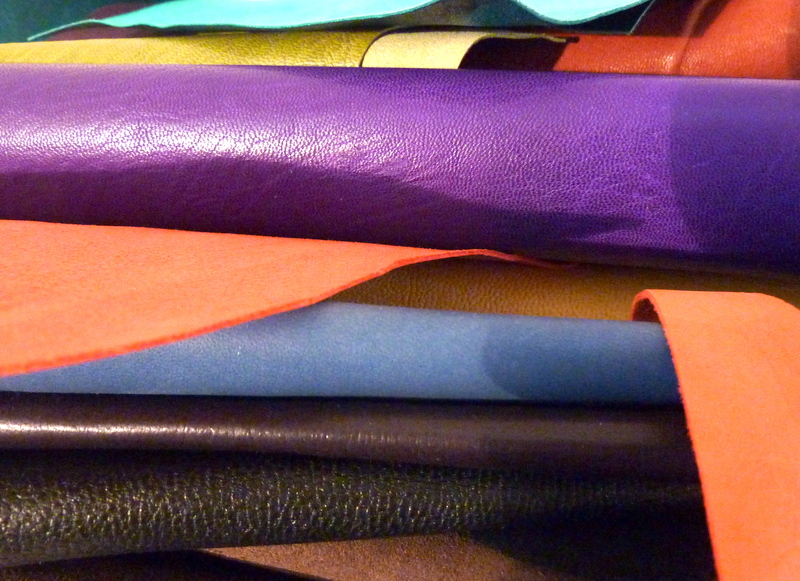 I love the smell of leather, and the colors of these are fabulous too! Whatever happened to your plan to sell on Etsy, BTW? Like the bookbinding, taking a back seat for the moment. Been really busy developing websites- seems to be all I’m doing at the moment.